College football is finally (almost) back! This is that magical time of year when every college football fan dreams of crisp fall days and really believes that his team will be “better than expected” this year. At least up until kickoff. 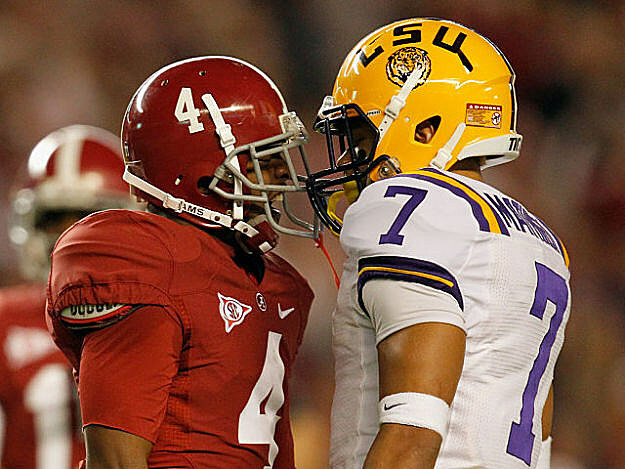 Here are 10 burning questions for college football fans as we enter the 2012 season. Can Anyone End the SEC’s Run? In the last six years, the SEC has won six BCS national championships, had seven teams playing in the title game and have beaten their BCS Championship game opponents by an average margin of over 15 points per game. This year, USC is expected to be the next in line to challenge the SEC’s dominance at the top. 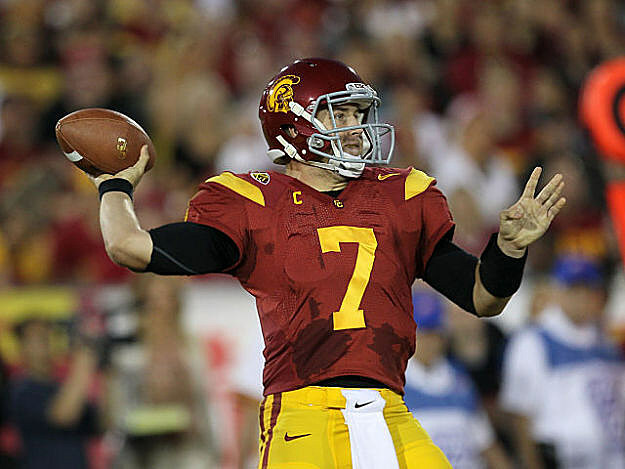 Quarterback Matt Barkley is the early Heisman frontrunner and is surrounded by a talented receiving corps and an experienced offensive line. The Trojans lost some talent to the NFL, but return a great deal of star power. USC was ineligible to play in a bowl game last year and will be looking to jump back to national prominence in a big way. USC is not alone as challengers to the throne, however. Oregon returns a lot of talent to coach Chip Kelly’s high-powered offense and should have an improved defense. Oklahoma’s receiving corps, which had serious question marks after losing all-time receiver Ryan Broyles, should be a strength once again after the reinstatement of previously suspended receivers Jaz Reynolds and Trey Franks and the addition of freshman phenom Trey Metoyer and Penn State transfer Justin Brown. And other traditional conference powers like Michigan, Wisconsin and Florida State are waiting in the wings. Who Will Carry Home the Hardware? With Robert Griffin III and Andrew Luck gone to the NFL, USC signal caller Matt Barkley inherits the title as the nation’s top quarterback entering this season. With a loaded team around him and a favorable schedule, Barkley is a heavy favorite in the Heisman race. However, he won’t be alone. South Carolina running back Marcus Lattimore was leading the nation in rushing before going down last year with a knee injury. If healthy, he could be poised for a big year as the SEC’s, if not the nation’s, top running back. 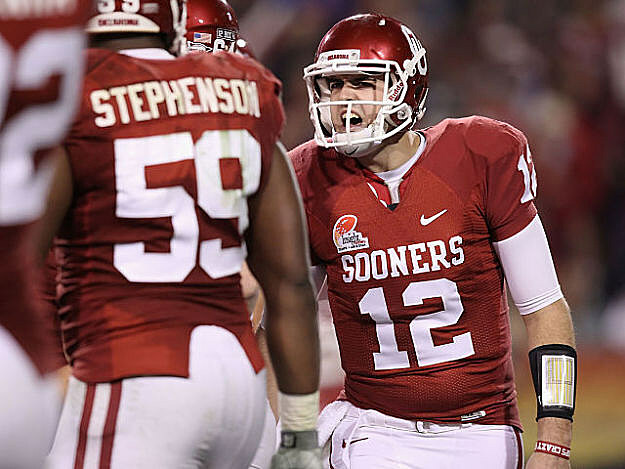 Oklahoma’s Landry Jones and West Virginia’s Geno Smith will duel not just for a Big 12 title, but for the honor as the conference’s best quarterback and a likely Heisman invite. Wisconsin running back Montee Ball was a Heisman finalist last year after scoring 39 touchdowns, and he should put up big numbers once again. And you certainly can’t count out human highlight reels like Michigan quarterback Denard Robinson and Clemson receiver Sammy Watkins. Who Will Be King of the SEC? 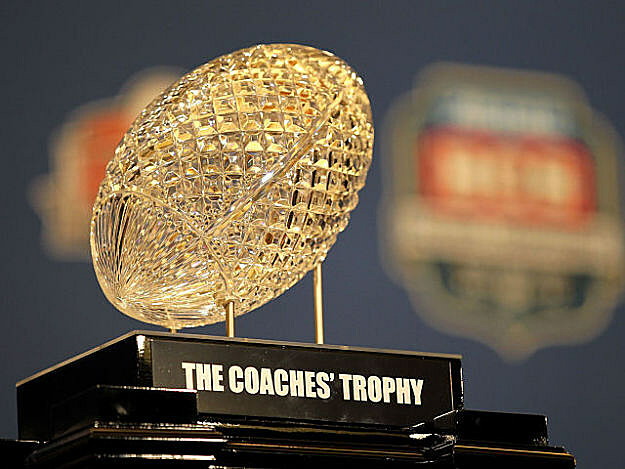 Even if someone else has a chance to take home the title, you have to at least consider the SEC a heavy favorite to have at least one entry into the championship game. 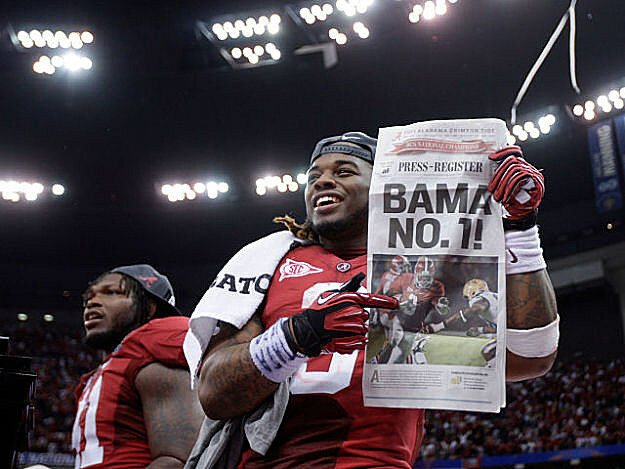 Defending champion Alabama must replace top running back Trent Richardson but should otherwise be loaded once again. The suspension of star cornerback/return man Tyrann ‘Honey Badger’ Mathieu won’t hurt a deep LSU defense as much as it would most teams, and the Bayou Bengals offense should be improved with strong-armed newcomer Zach Mettenberger under center. Arkansas’ only two losses last year came against LSU and Alabama. This year, the Hogs get both of those teams at home and return record-setting quarterback Tyler Wilson. And the schedule makers did Georgia a huge favor, as the Bulldogs avoid all three of those SEC West powerhouses in the regular season, giving the Bulldogs a prime chance to be very highly ranked (and potentially undefeated) going into the SEC title game. Which Team Won’t Match the Hype? Every season there is always a team or two that starts off highly ranked but fails to live up to the hype. This year there are any number of candidates. Oklahoma has been hammered with preseason injuries on the offensive line and asking Mike Stoops to rebuild a defense that gave up 40 or more points in three of the Sooners’ last six regular season games might be a tall order in one year. Florida State once again begins the season in the top 10, but quarterback E.J. Manuel has been injury prone and the Seminoles in recent years have struggled to find any offensive consistency. Georgia has a lot of talent and a favorable schedule (no LSU, Alabama or Arkansas), but it remains to be seen if Mark Richt can ever get the Bulldogs to that next level. Oregon certainly returns a lot talent, but an as-yet-unnamed first-year starter will be under center for the Ducks. Can he make up for the loss of LaMichael James and Darron Thoma? One of the year’s biggest stories won’t even happen on the field and won’t matter for a couple more years. However, it is likely to be the subject of intense ongoing discussion by sports fans and radio talk show hosts all year. 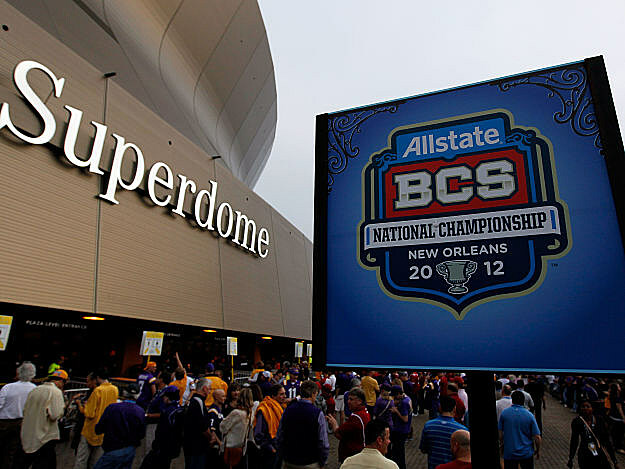 College football’s playoff won’t officially start until 2014. But in the coming months, the powers that be are expected to start finalizing many of the details, including the dollar figures of a television deal, how the teams will be chosen and where the playoff games will be played. Who Will Be This Year’s Breakout Star? Every year, there are a handful of players that most people have never heard of who suddenly burst on the scene to stardom. And this year, there are any number of candidates. Playing on a bigger stage in the Big 12, West Virginia quarterback Geno Smith will have the chance to have a brighter spotlight running the Mountaineers high-octane offense. Oklahoma State running back Joseph Randle was overshadowed by Brandon Weeden and Justin Blackmon last season, but rushed for 1,248 yards and 24 touchdowns. This year, he’ll be running behind a true freshman quarterback and will be asked to carry a bigger load. Virginia Tech’s quarterback, Logan Thomas, already set the school record for total offense last year (3,482 yards and 30 TDs) and will likely have even more opportunities, since running back David Wilson, who set the school record for rushing yards last year, is off to the NFL. Can Missouri freshman phenom receiver Dorial Green-Beckham prove to be the real deal against SEC defenses? Which Traditional Power Will Continue to Struggle? Love ‘em or hate ‘em, schools like Notre Dame, Texas and Florida State are good for college football. When they’re on television, ratings skyrocket as everyone tunes in to root for (or against) them. But all three have fallen on hard times in recent years and are looking for redemption. Florida State appears the most likely to return to prominence. The defense should be outstanding and the ACC is down. But can quarterback EJ Manuel and the FSU offense prove to be more consistent and improve on last year’s 9-4 mark? With an unsettled quarterback situation and a brutal schedule, it’s difficult to see this being the year Notre Dame jumps back into the top 10. The Irish should be able to start 2-0 against Navy and Purdue, but after that, things get ugly with a six-game stretch that includes home games with Miami, Stanford, BYU and Michigan State, along with road tilts at Michigan and Oklahoma. Throw in their annual late-season matchup with USC and a .500 season is not out of the realm of possibility for the Fighting Irish. In Texas, going 13-12 in two years won’t necessarily get you fired, but it will get people talking. 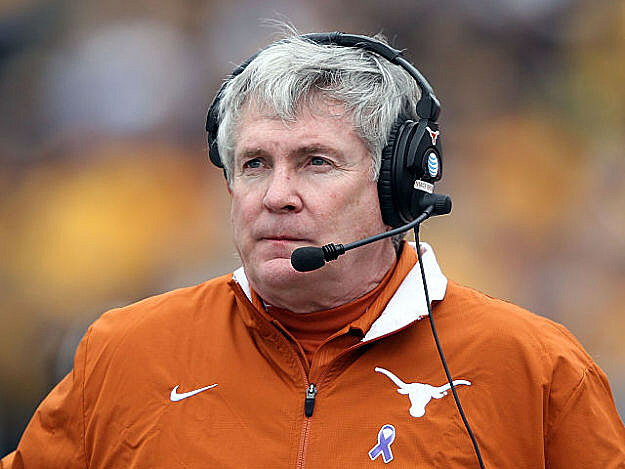 Mack Brown and the Longhorns are looking to improve in the new-look Big 12. The defense and running game should be among the best in the conference, but the quarterback position continues to be a question mark with two equally underwhelming options in David Ash and Case McCoy. We’ll know by late October how good Texas is after a vicious four-game swing at Oklahoma State, home against West Virginia and Oklahoma and at Baylor. What Will Be the Impact of Conference Realignment? This season marks another year of “new faces in new places” as some big names in college football are on the move. 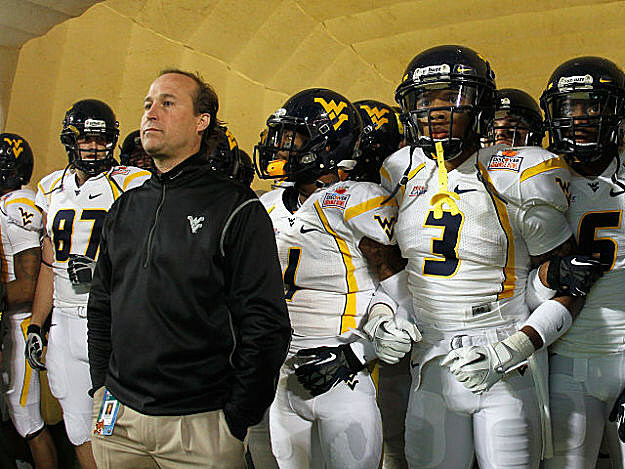 With the high-powered offense of coach Dana Holgorsen and one of the nation’s most exciting quarterbacks, West Virginia has the talent and athleticism to challenge Oklahoma for the Big 12 title in the Mountaineers’ first year in the conference. And TCU, which is also joining the Big 12, brings in a 36-3 record the last three years and should be right in the mix to challenge Oklahoma State, Texas and Kansas State in the Big 12’s second tier. In the SEC, Missouri and Texas A&M aren’t likely to dethrone LSU or Alabama at the top of the conference, but they certainly have the talent to compete with most other SEC teams and could conceivably shake up the conference with an upset here or there. Who Will Be the First Coach Fired? All coaches have high-pressure jobs. But some are feeling the heat even before the season starts. More than a few coaches need to win — and win soon — if they hope to save their jobs this season. 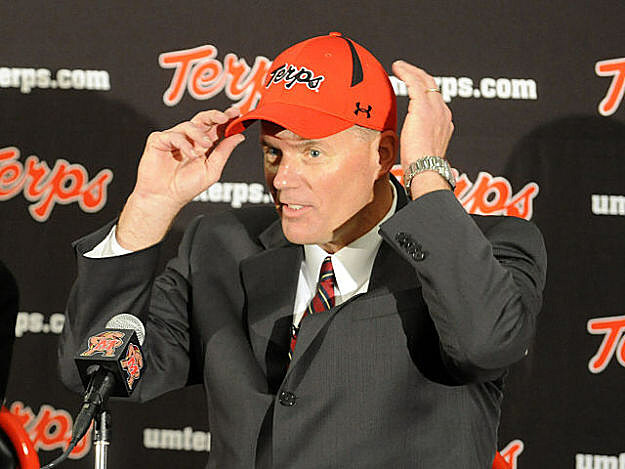 Coaches on the hot seat include Frank Spaziani (Boston College), Derek Dooley (Tennessee), Mike Riley (Oregon State), Tommy Tuberville (Texas Tech) and Randy Edsall (Maryland). Don’t be surprised if many of these guys are checking out the “Help Wanted” section by season’s end. What Will Be the Impact of the Penn State Fallout? In the wake of the Jerry Sandusky scandal, the NCAA came down hard on the Nittany Lions program with, among other things, postseason bans, open transfers and scholarship reductions. The immediate beneficiaries are those schools who were able to scavenge some of Penn State’s former players. Star running back Silas Redd will bolster an already-potent USC offense. Receiver Justin Brown should garner immediate playing time in an Oklahoma receiving corps without much depth. And kicker Anthony Fera, last year’s All-Big Ten punter, left for Texas (although he has since suffered a serious groin injury that could leave him sidelined for some time). Another beneficiary is Wisconsin. Theoretically, the Badgers could finish third in the Big Ten Leaders Division and still end up in the Rose Bowl since postseason bans for Penn State and Ohio State would leave them both ineligible to play in the Big Ten Championship. The NCAA hopes the punishment serves as a warning to other schools at which the head coach has more power than the university president or athletics director. But don’t hold your breath.